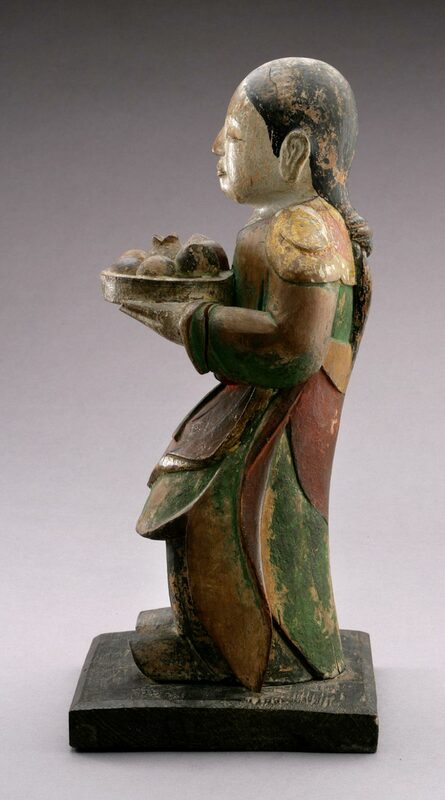 During the Joseon dynasty most Buddhist sculptures were made from wood, whereas in earlier periods Korean artists commonly employed bronze, iron, or stone. 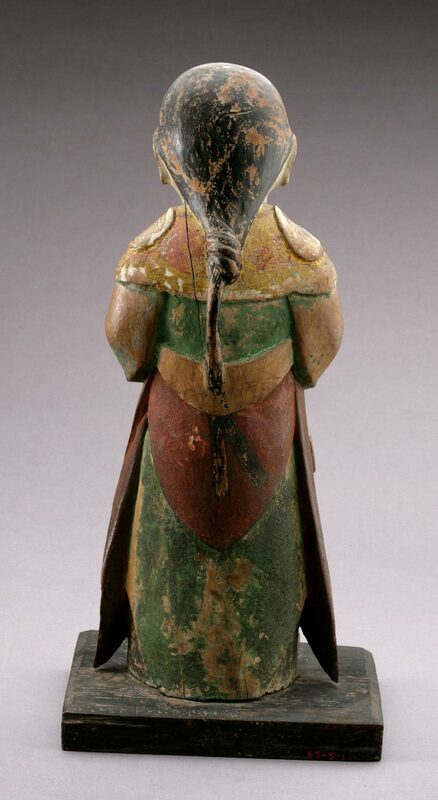 This figure is thought to be an attendant for one of the “Ten Kings of the Underworld” and would have been placed in a temple’s Hall of Ksitigarbha. 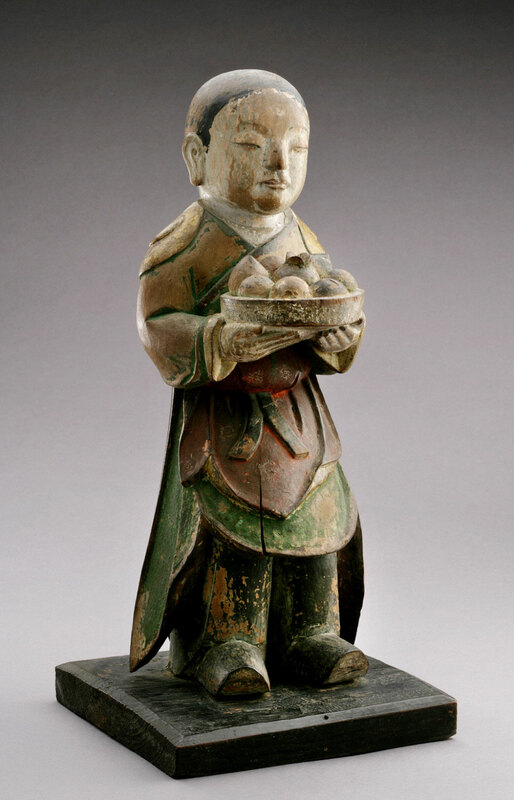 The Buddhist deity Ksitigarbha vowed to enter nirvana only when hell was empty. 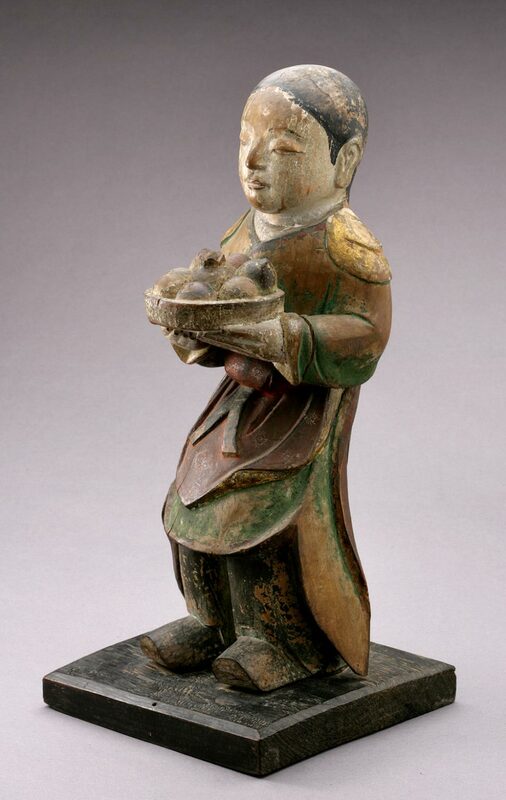 Despite being created for a religious setting, this gentle-faced boy embodies the humorous and unpretentious folk art tradition of the Joseon dynasty. 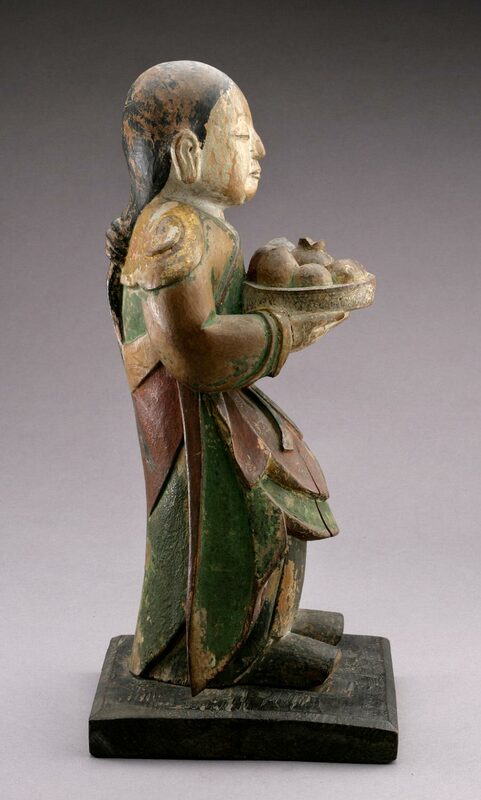 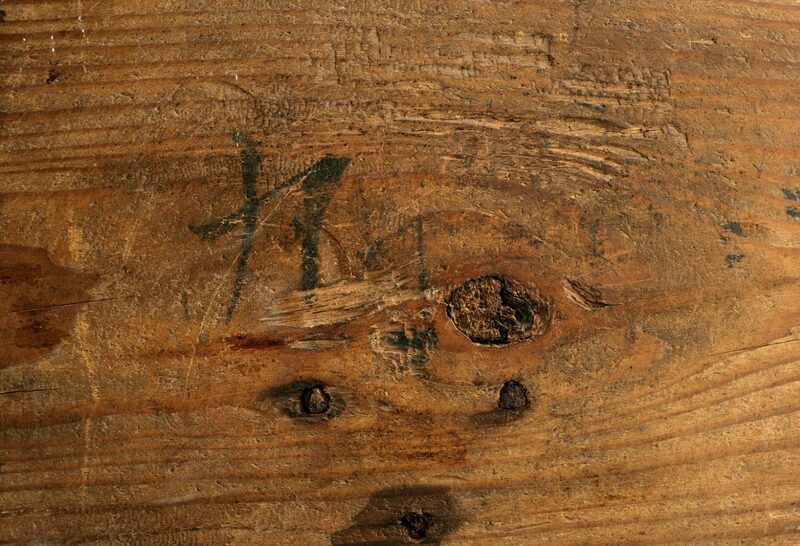 The entire body is carved from a single piece of wood and affixed to a separate wooden base.